Details have been released of the facelifted DS 5, ahead of its unveiling at the Geneva Motor Show next month. The new DS 5 is the first model in the brand’s stand-alone identity. Previously, the DS range also carried the Citroen badge. The French car manufacturer said the facelifted DS 5 continues with its avant-garde styling and ‘combines dynamic performance, refinement and attention to detail with a range of advanced technologies’. It ‘embodies all the attributes of present and future DS vehicles,’ it adds. CEO of the DS brand, Yves Bonnefont said the new DS is ‘a clear statement of our ambition: to revive the tradition of French premium vehicles’. A new range of high-performance engines will also be available, including a Hybrid 4×4. The cabin in the new DS 5 is based ‘100 per cent’ around the driver. Like its predecessor, the interior of the new DS 5 also resembles the cockpit of a plane, with buttons, dials and toggle switches ‘inspired by the aerospace industry’. The new model also incorporates a colour touchdrive infotainment unit which streamlines the centre console by decreasing the number of buttons by 12. It features Mirror Screen technology, which allows users to mirror their smartphone on to the car’s touch screen and use apps such as sat nav via the car. The new DS 5 also carries 10 advanced safety systems, including blind spot monitor, lane departure warning, hill start assist, head up display and cornering lights. Creature comforts include electric memory and massaging front seats, ambient lighting and dual-zone automatic air conditioning. A Denon Hi-Fi system is also available. DS 5 also features a new ‘watch strap’ upholstery in two-tone black and deep blue interior trim. It also has a new DS monogramme trim on the centre console and doors. A new Ink Blue body colour will also be available from launch. 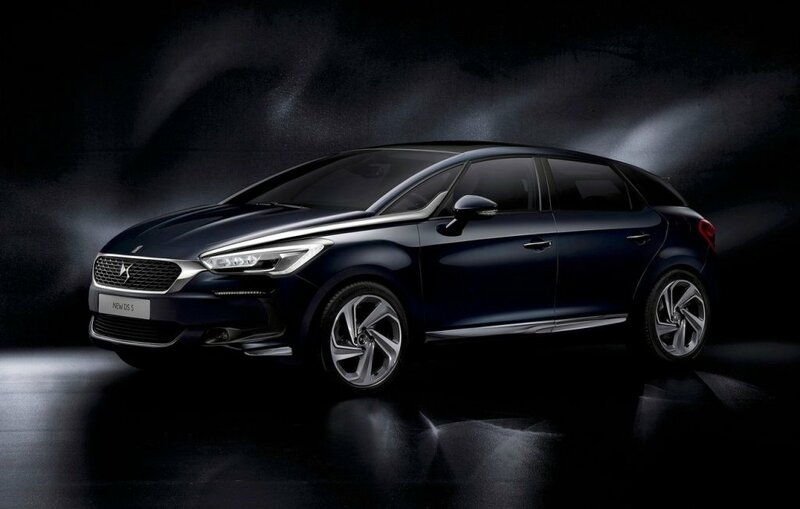 The new DS 5 is due in Ireland in July. Visit the Citroen Ireland website or its Facebook page for further details.